Book now to see The Star Seekers perform their fantastic show at Quay Arts as part of the Isle of Wight Children’s Festival. The Easter school holidays are just around the corner and if you’re looking for exciting things to do with the kids, don’t forget the return of the wonderful Isle of Wight Children’s Festival. As part of the Isle of Wight Children’s Festival, The Wardrobe Ensemble will be performing their latest show, The Star Seekers. Have you ever dreamt of flying to the moon? Meeting an alien? Becoming an astronaut? 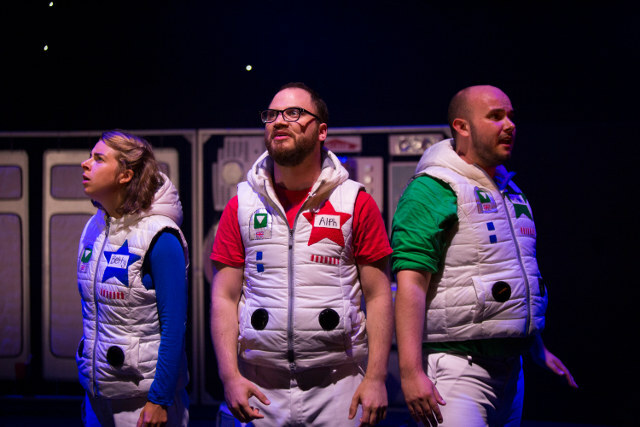 Join star seekers Alph, Betty and Gammo on a journey through space where you take the steering wheel! Inspired by their childhood wonder of the universe, Bristol based Wardrobe Ensemble have created a unique theatrical experience for children. 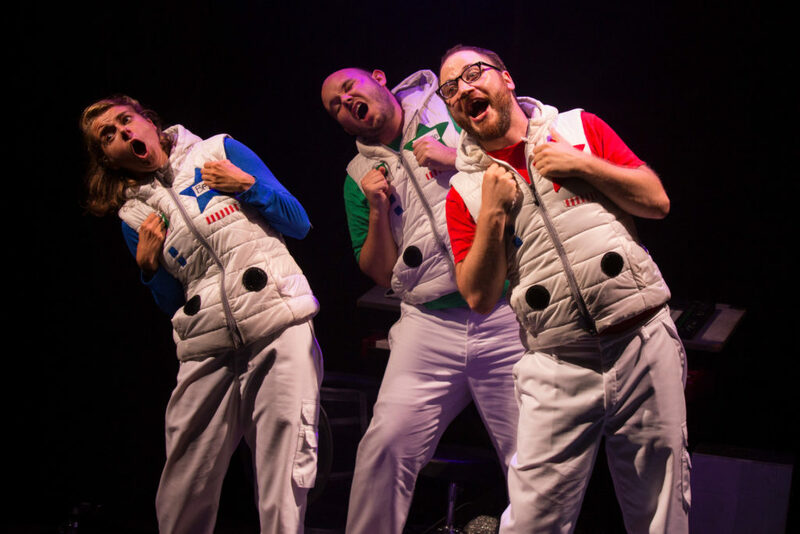 The Star Seekers is an interactive show that explores the limitless majesty of galaxies, the solar system, shooting stars and planets through songs, silliness and anti-gravity antics. We need the Island’s Star Seekers to help them complete their mission and answer one of the greatest unanswered questions of the universe: What do astronauts really have in their packed lunch boxes?! There are two performances on Thursday 11th April – 11am or 2pm and tickets are £6 each. You can book tickets for events through the Ventnor Exchange Website. You can see the full timetable of events on the Website.